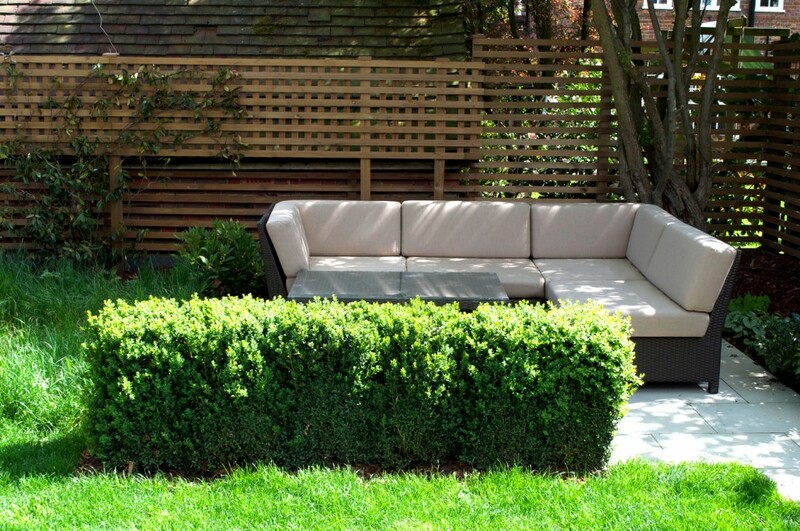 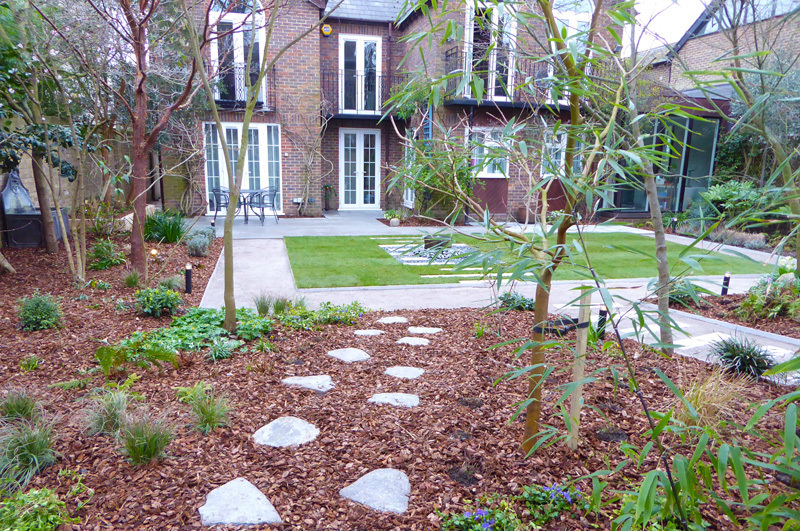 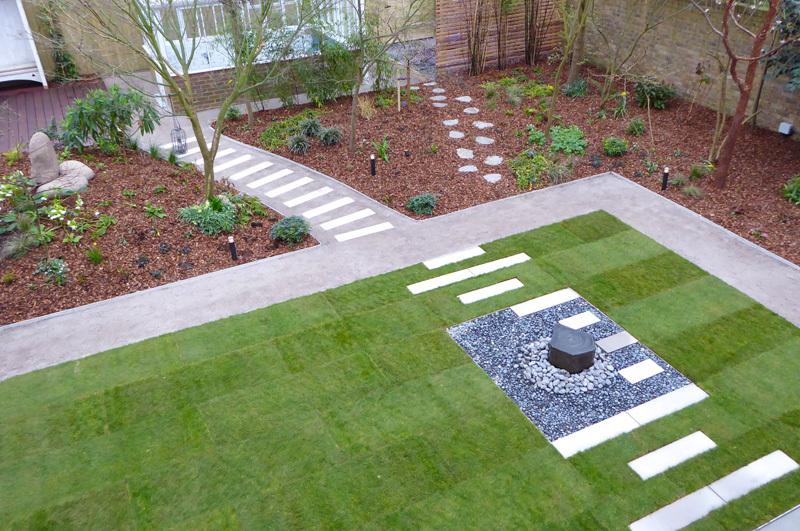 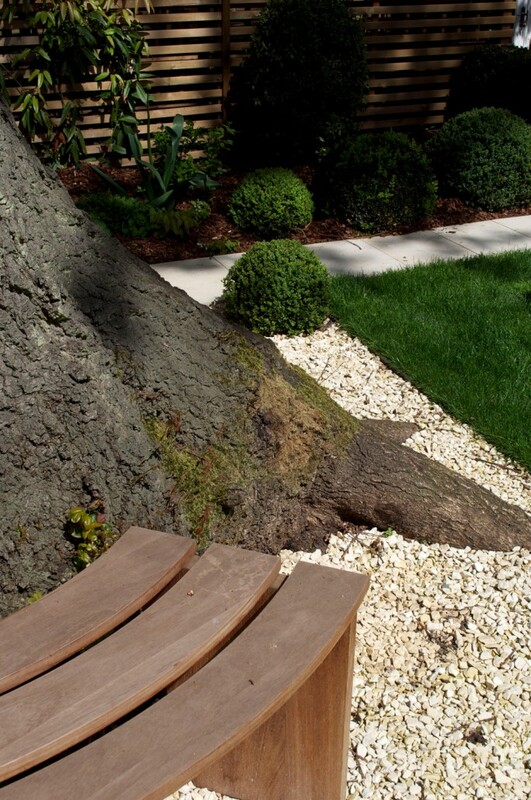 Landscaping for medium-sized gardens, designed and built by Landspace. 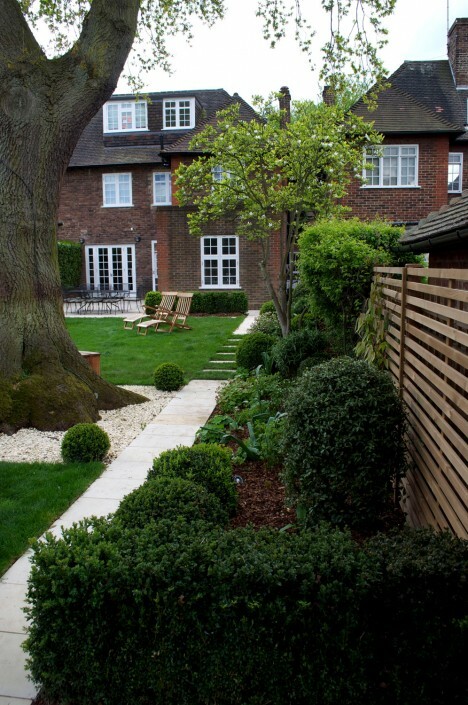 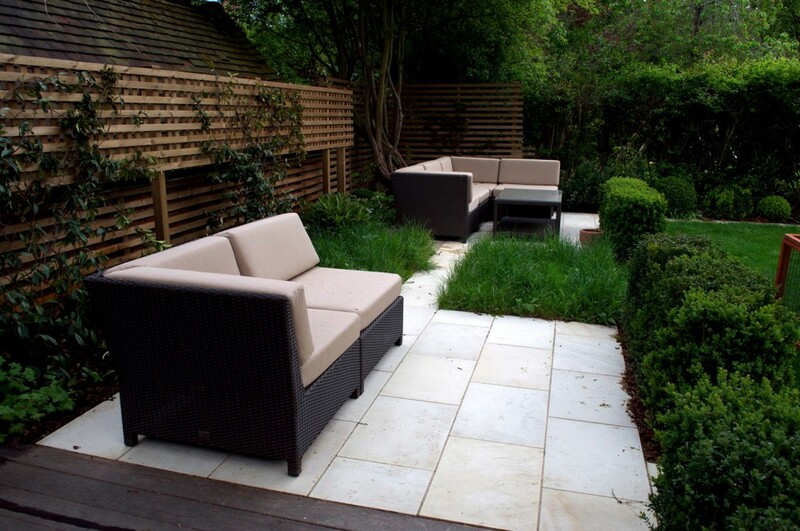 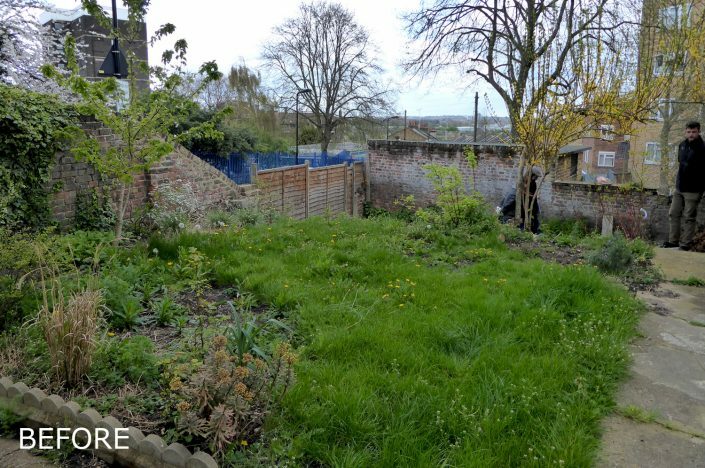 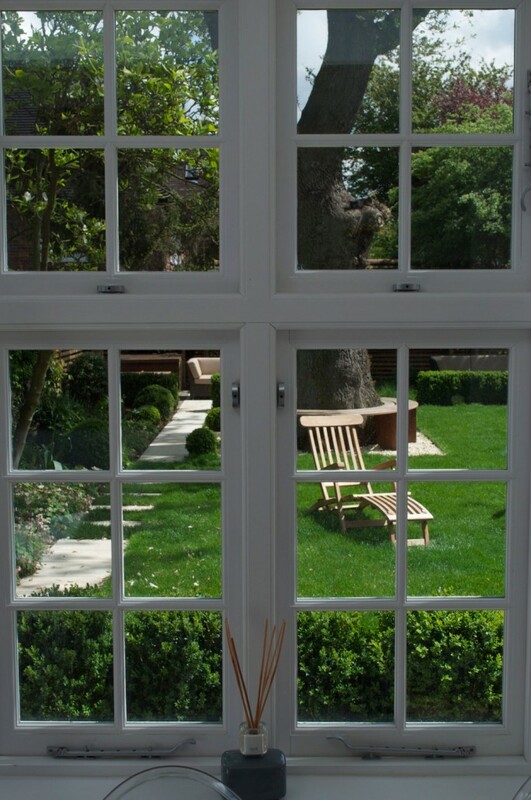 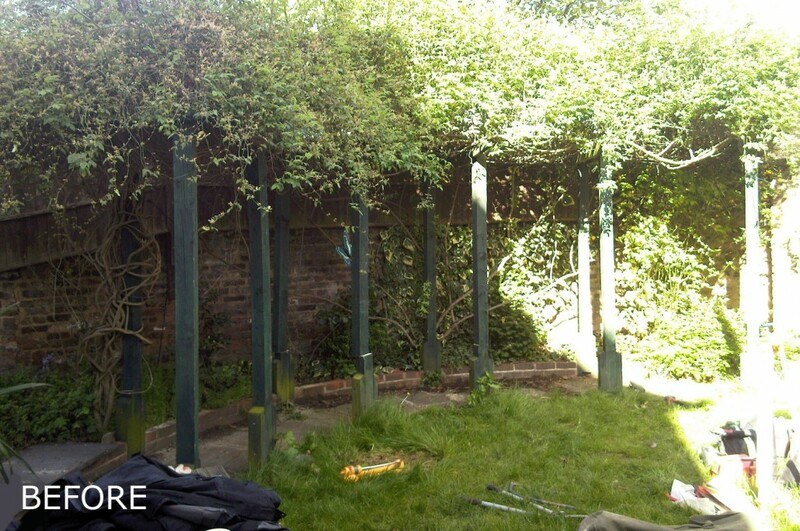 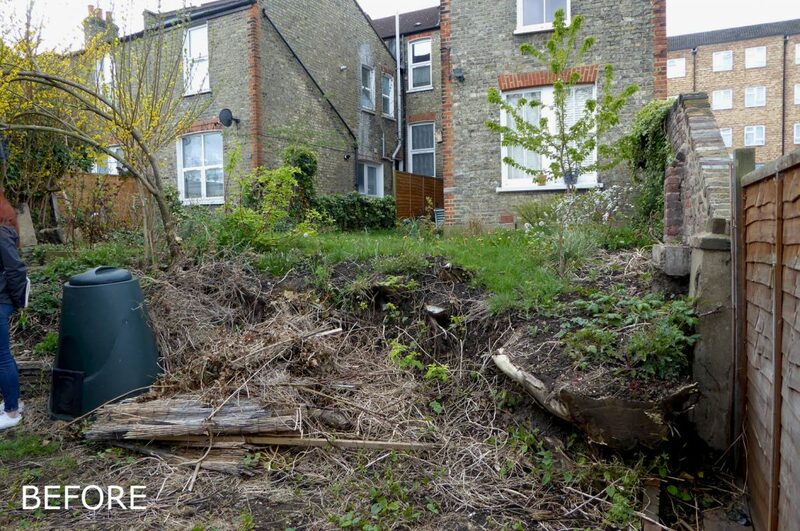 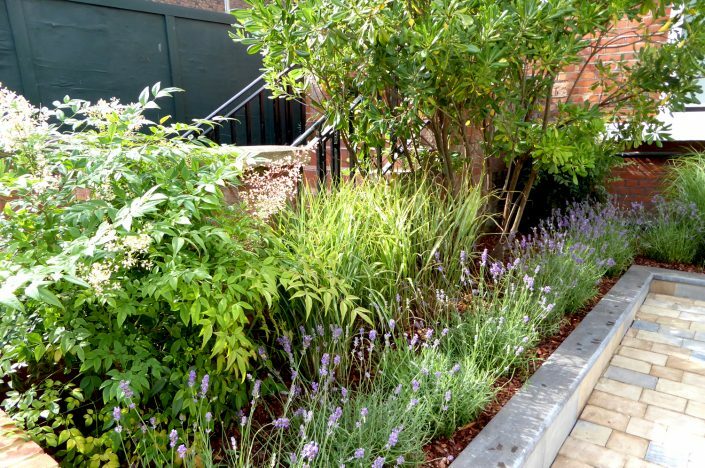 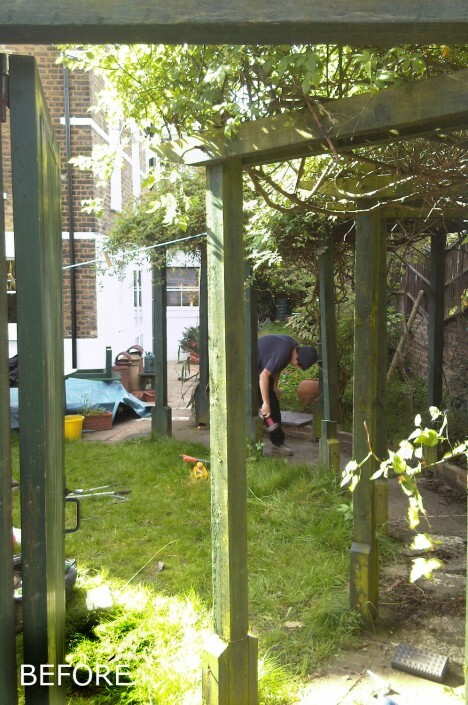 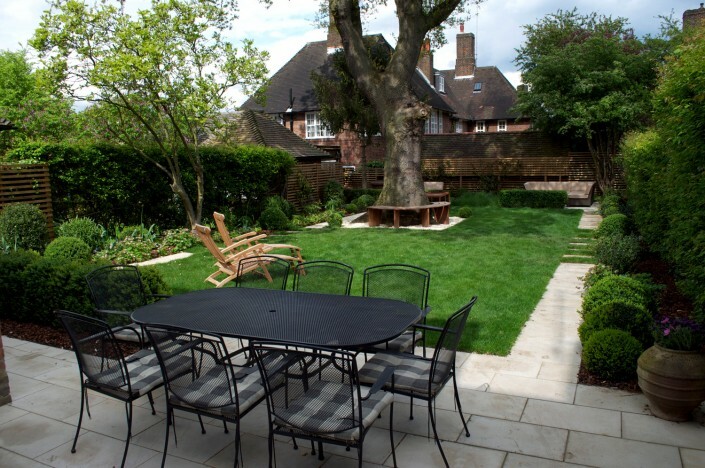 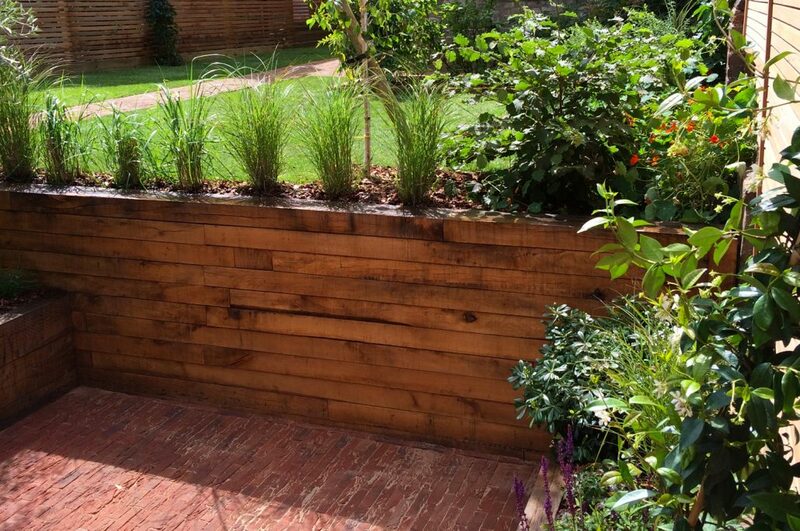 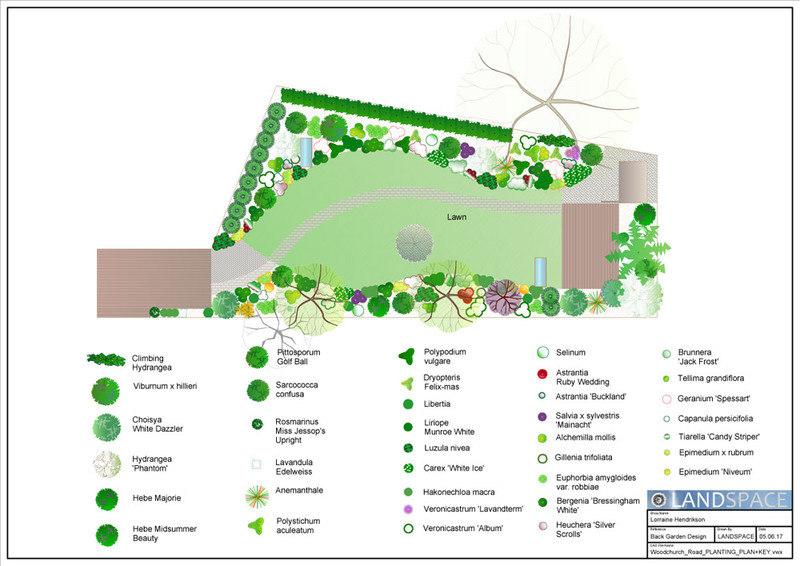 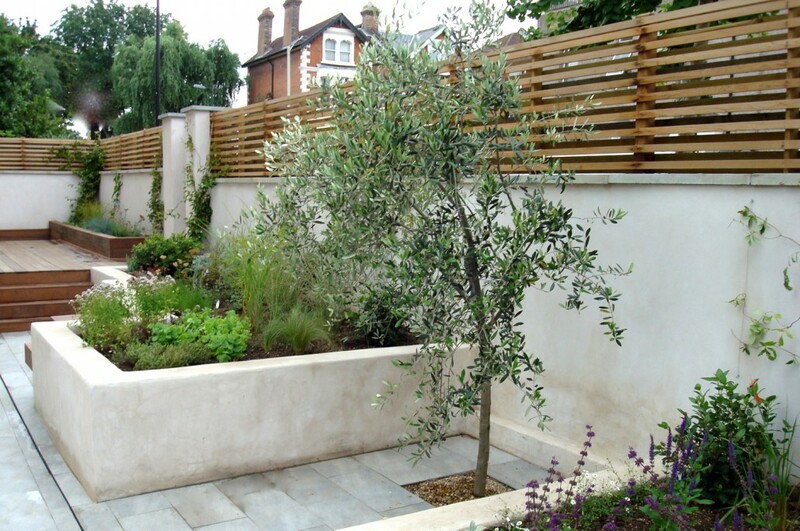 This mid-sized rear garden presented a challenge as it is situated in a conservation area where any proposed changes need to be first approved by the Hampstead Garden Suburb Trust. 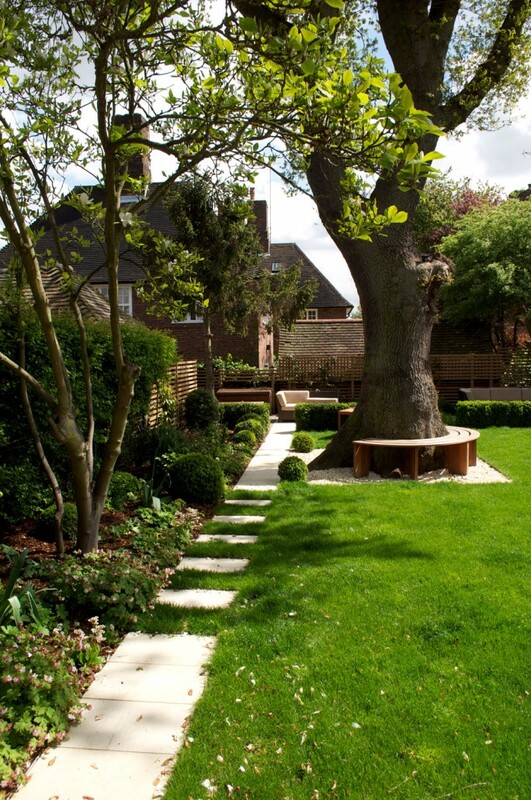 Limitations included boundaries requiring hedging rather than fences, the retaining of a century-old Oak tree and tight rules about the amount of hard landscaping which was possible. 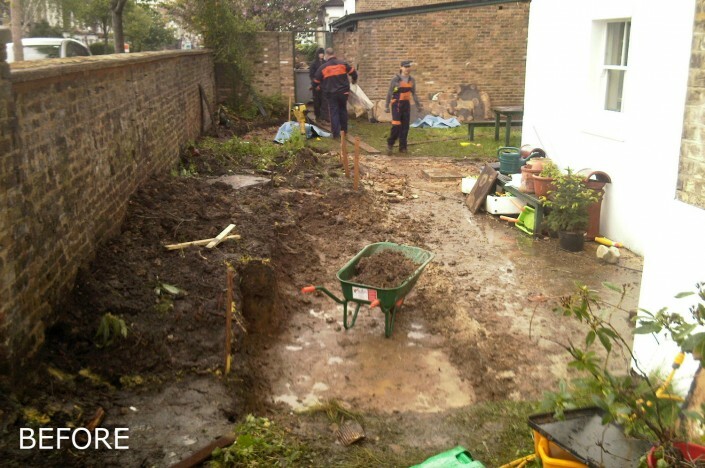 Drainage was also an issue. 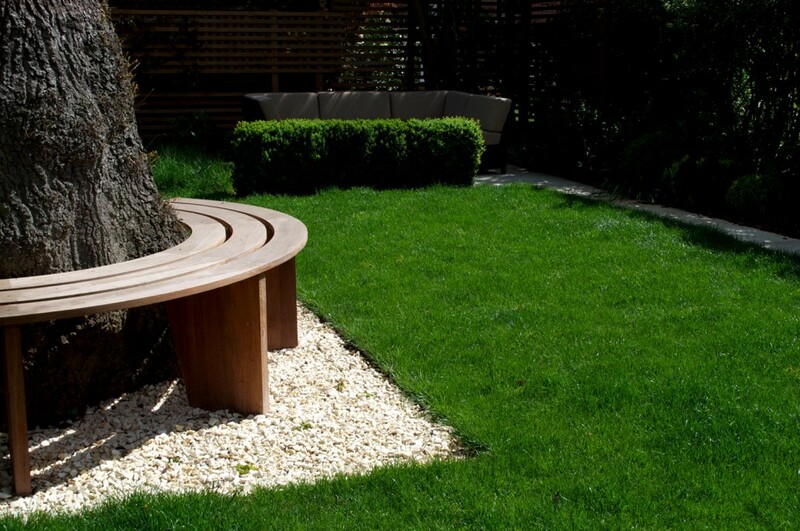 Despite these limitations, Landspace Design were able to fulfil the customer’s brief and to deliver an attractive and multi-functional space incorporating an area to entertain and relax, a sun deck, a circular tree seat, a hidden/pop-up sprinkler system, a large well-drained lawn, privacy screening where required, ambient lighting at night and a whole lot more. 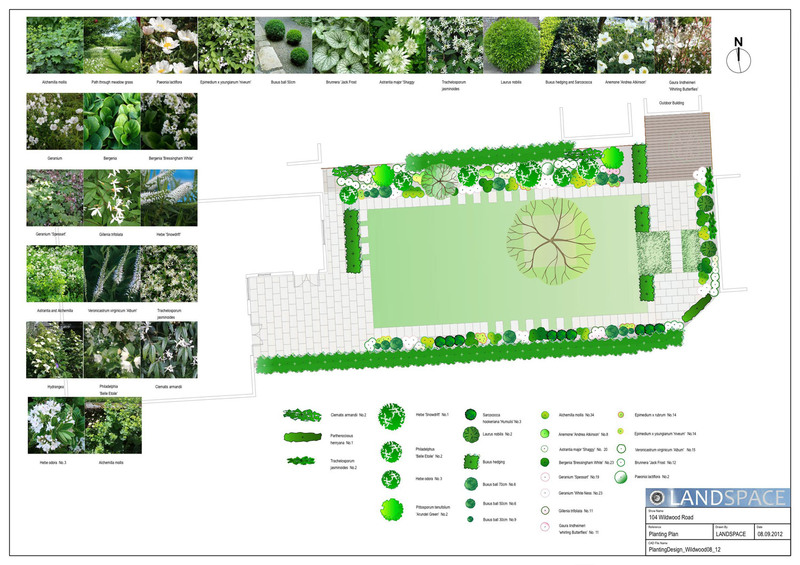 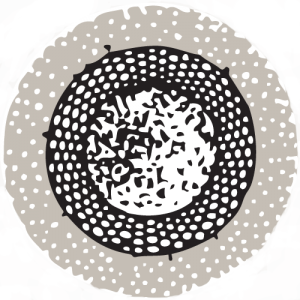 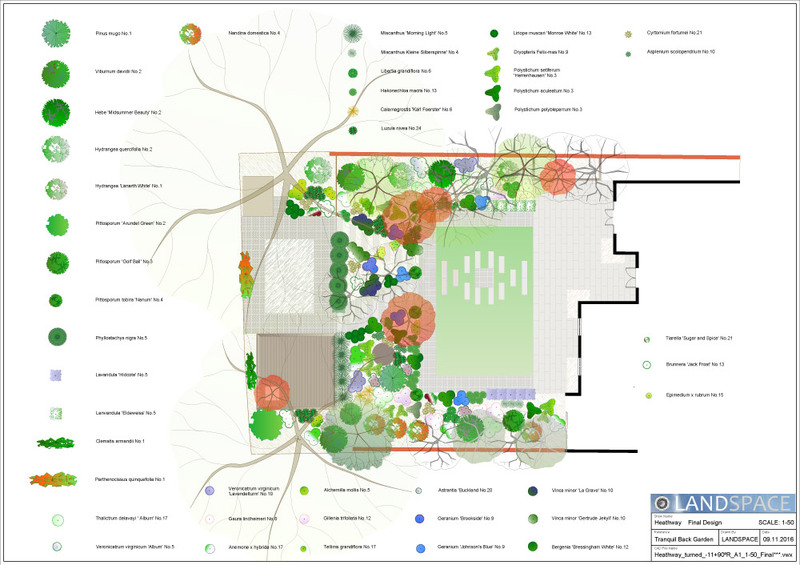 Learn more about this medium-sized garden design project here. 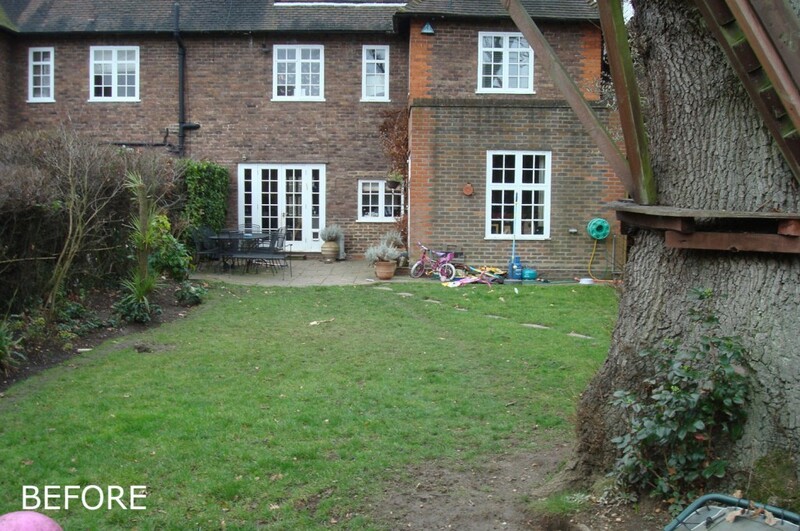 This was a front garden with identical conservation restrictions to the rear garden described above. 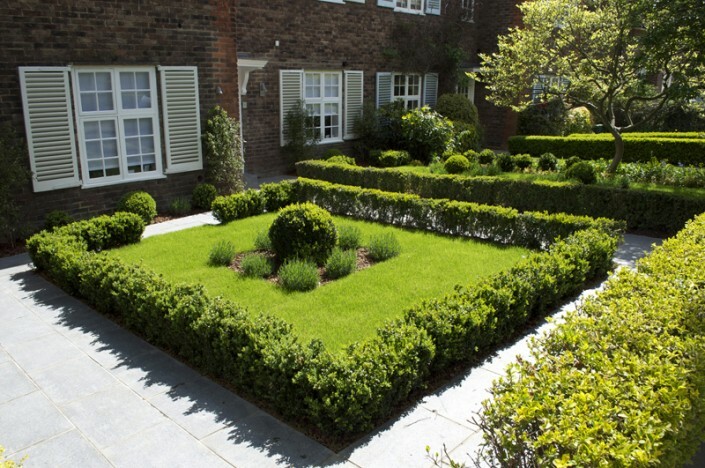 As such we agreed a fairly formal style design with minimalist planting, low Buxux hedging, Lavender hedging and blue-grey Granite paving with two lawn areas in a layout which complemented the main house. 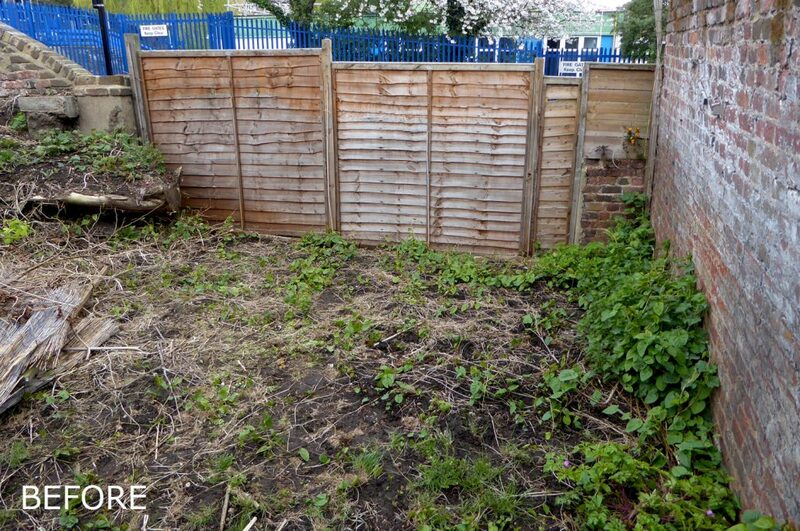 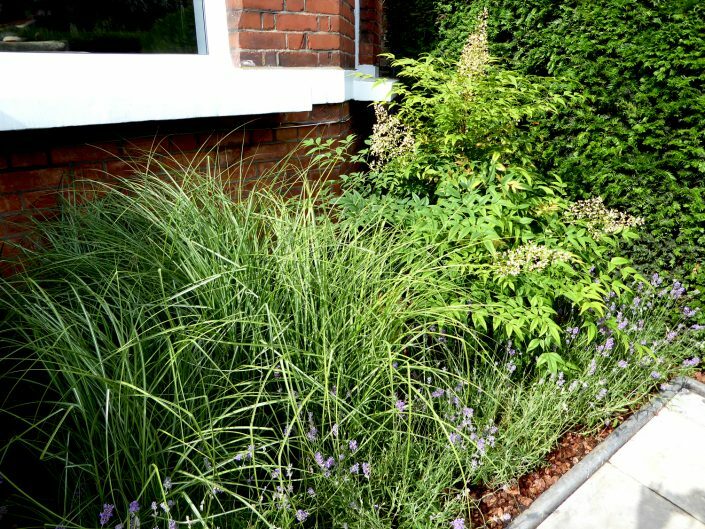 This was a complete transformation to a front garden which, until then, had been in a poor state following considerable building work to the property itself. 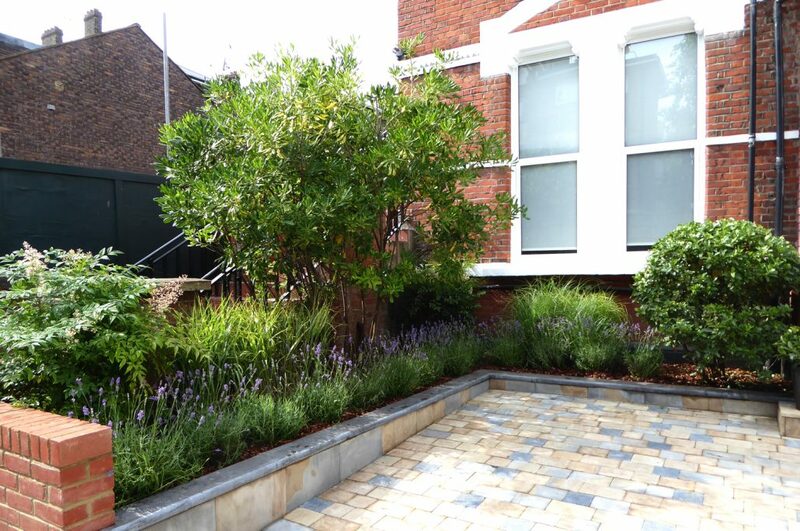 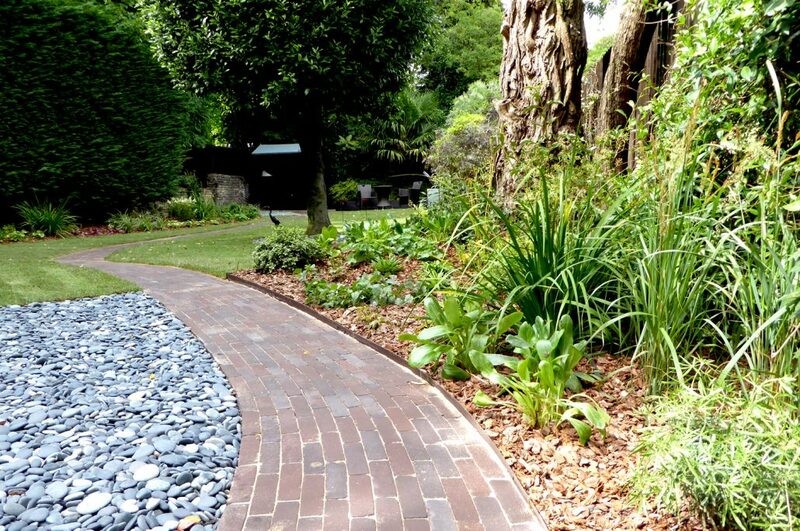 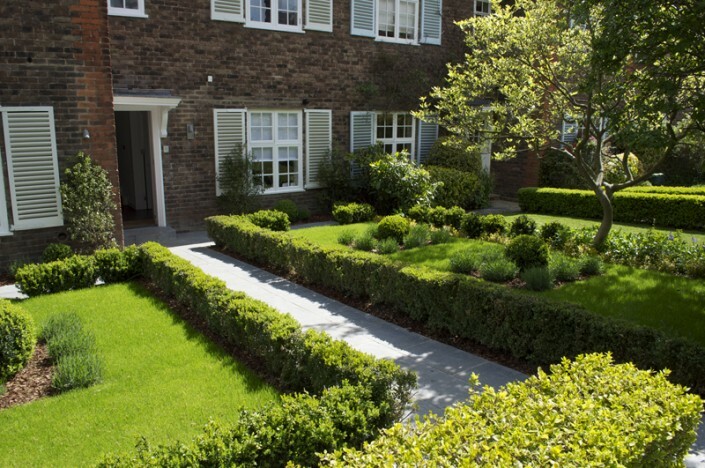 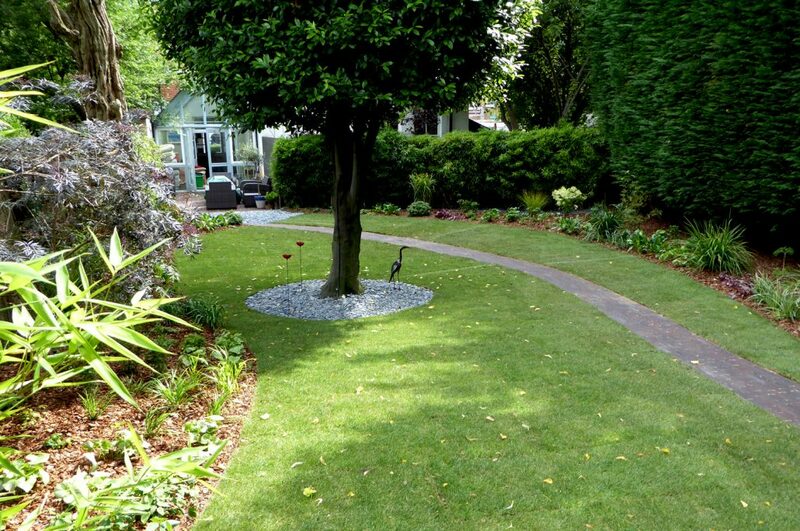 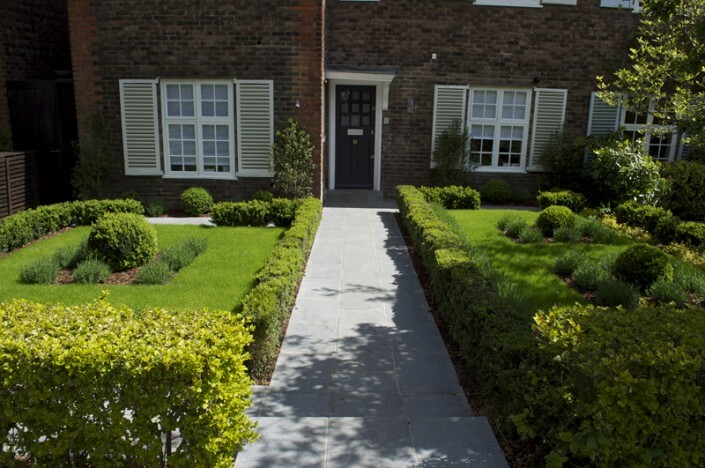 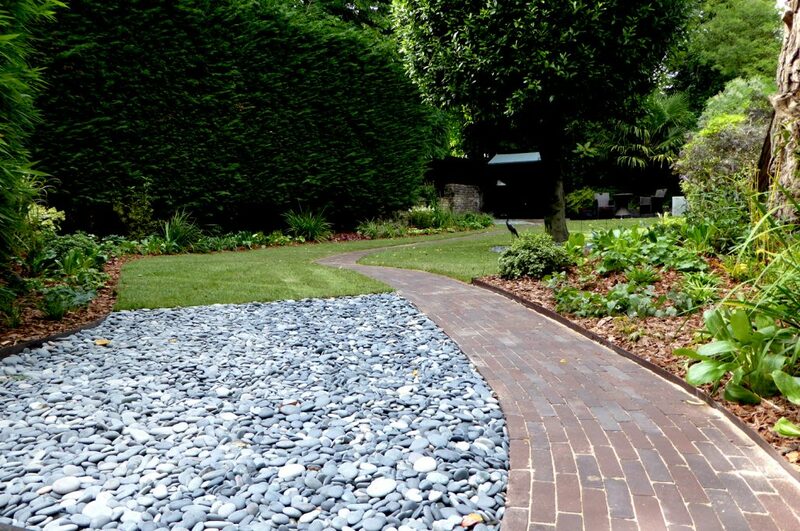 For more information about this front garden landscaping project, click here. 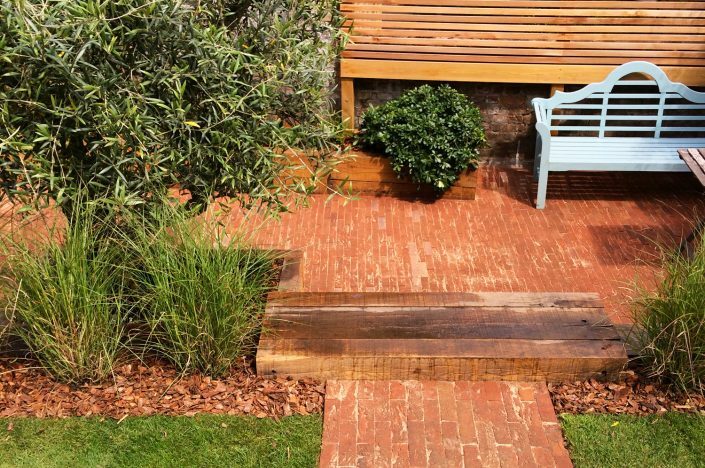 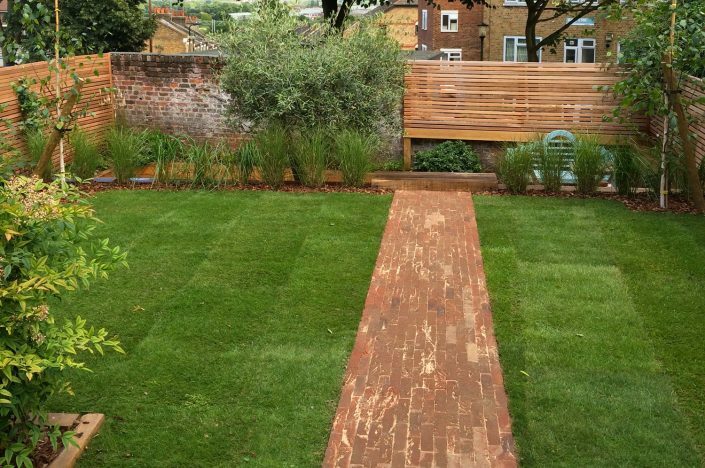 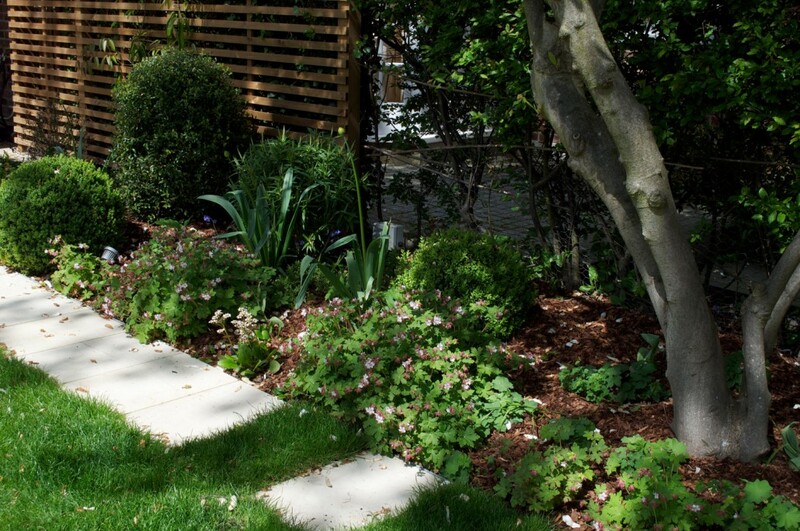 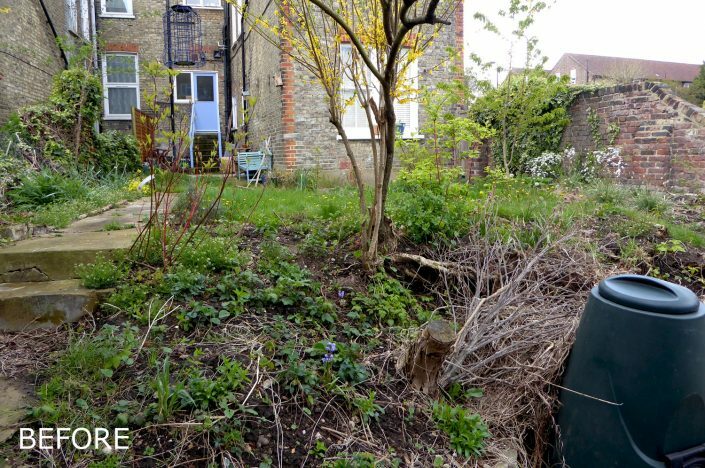 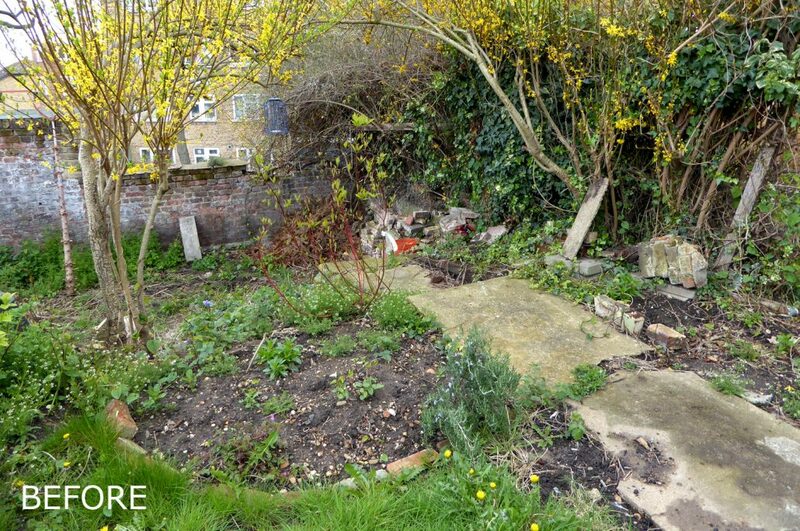 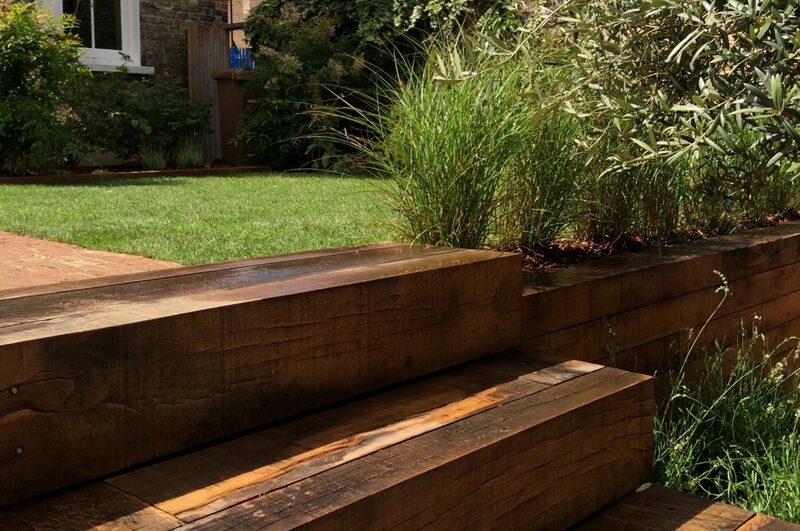 This East Dulwich garden is mid-sized and owned by a professional couple with young children. 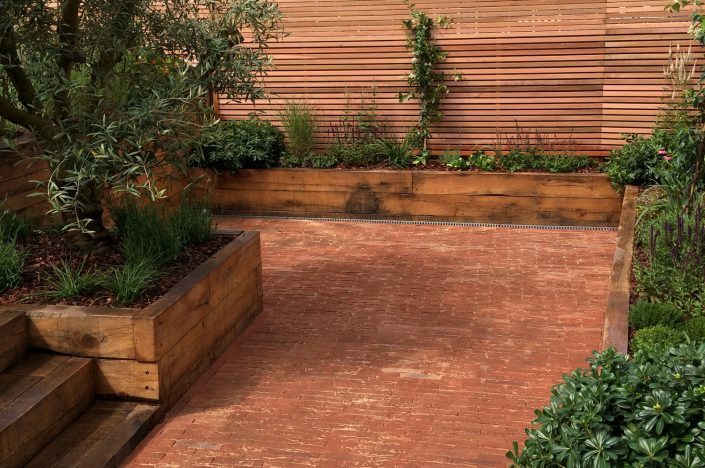 The design brief required the garden to ‘flow’ to and from the inside of the property, so outdoor floor tiles were included to closely match those used inside. 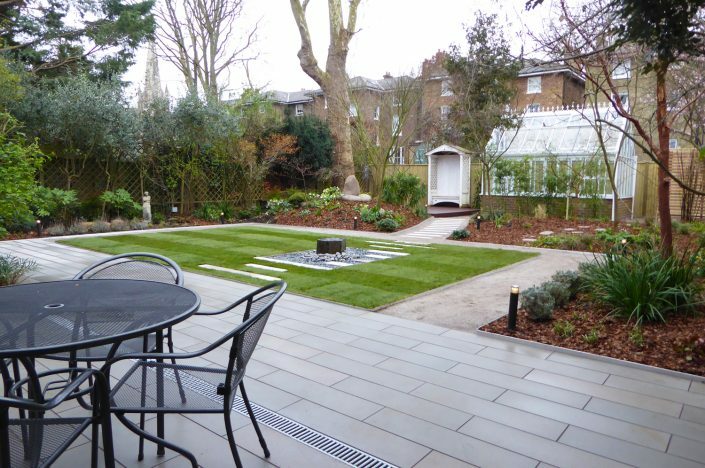 A modern, minimalist feel was also developed outside to complement the interior design and give a Mediterranean feel to the garden space. 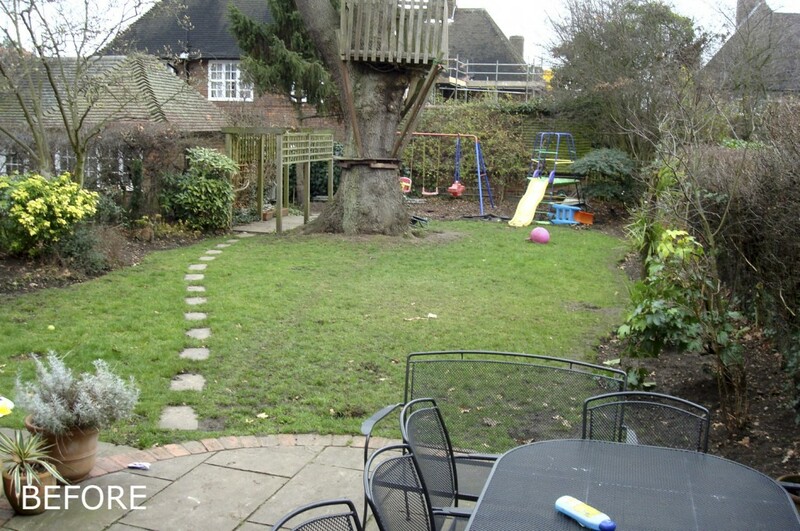 The finished garden incorporated individual, defined areas while still including an open structure which allowed the children to run around freely. 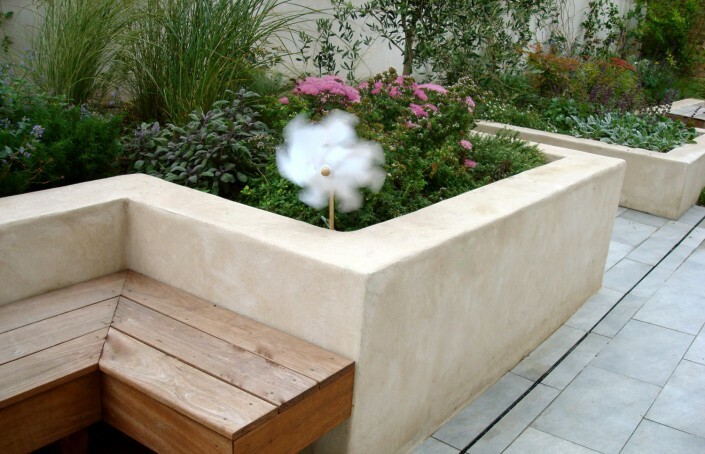 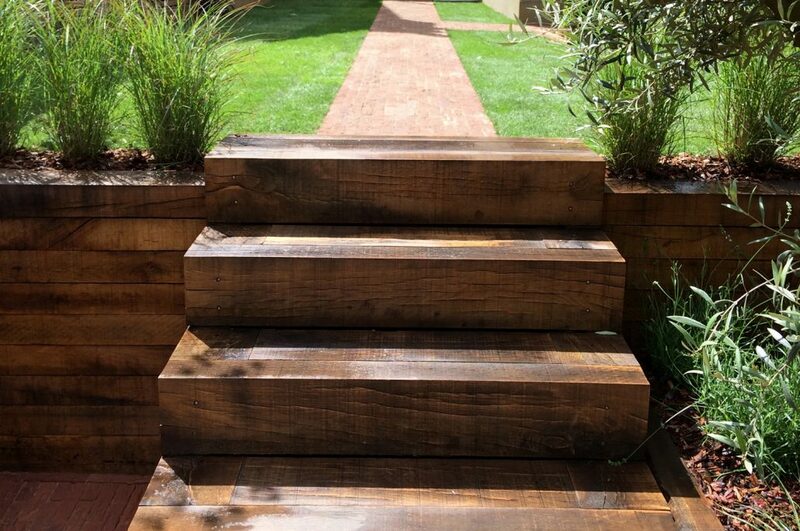 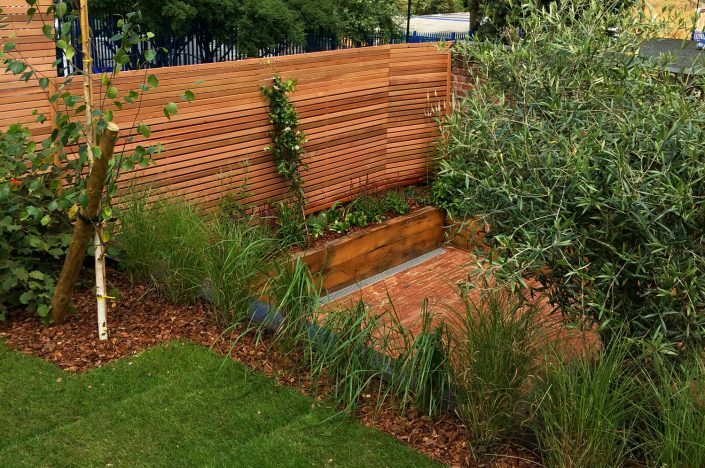 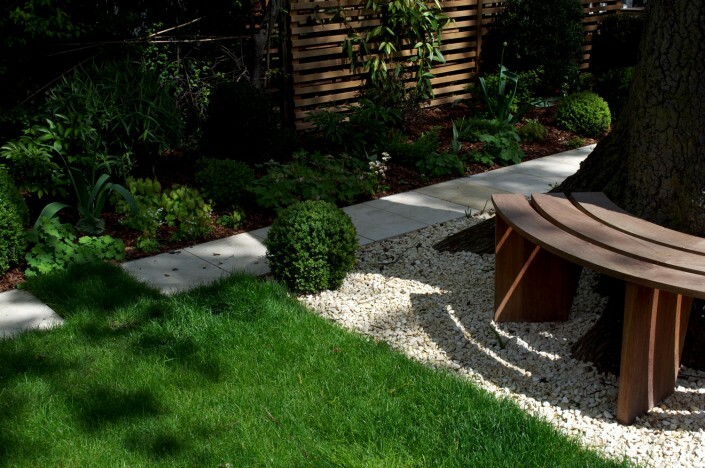 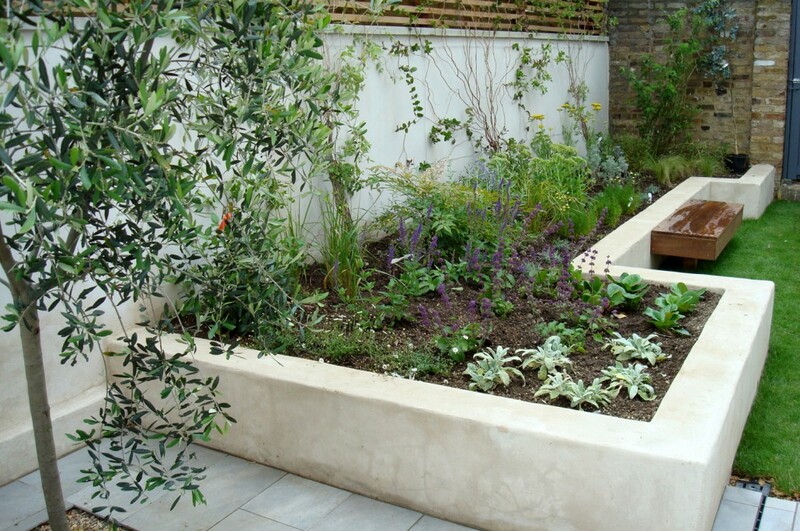 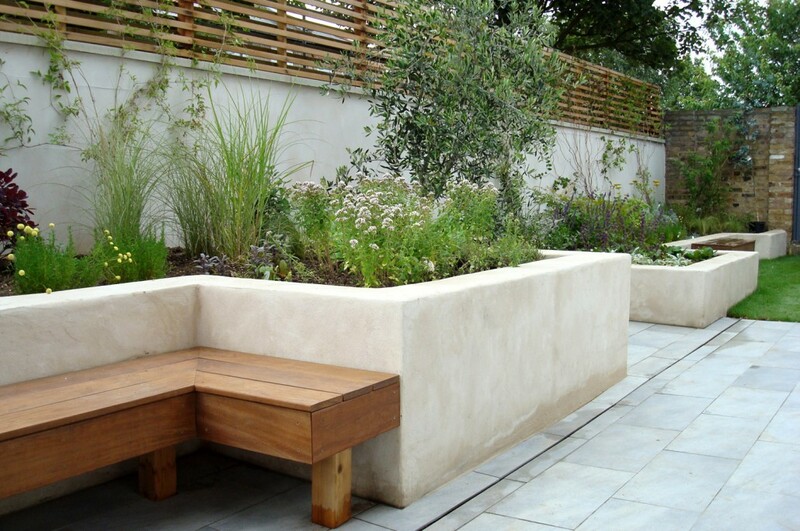 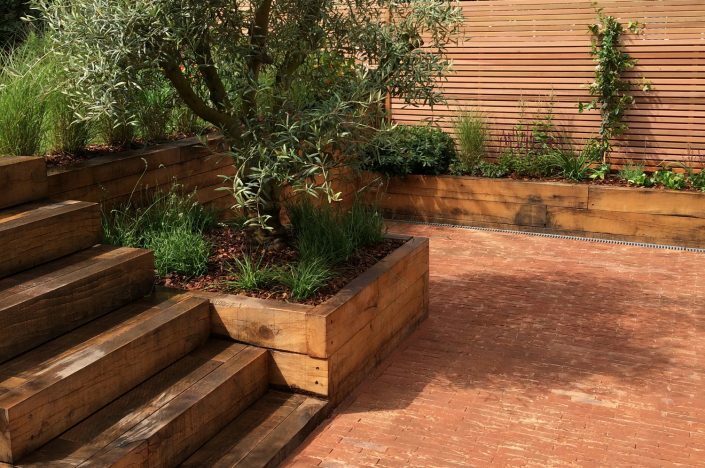 Sand rendered raised beds were designed in a geometric, staggered pattern and bespoke hardwood Ipe benches were built in. 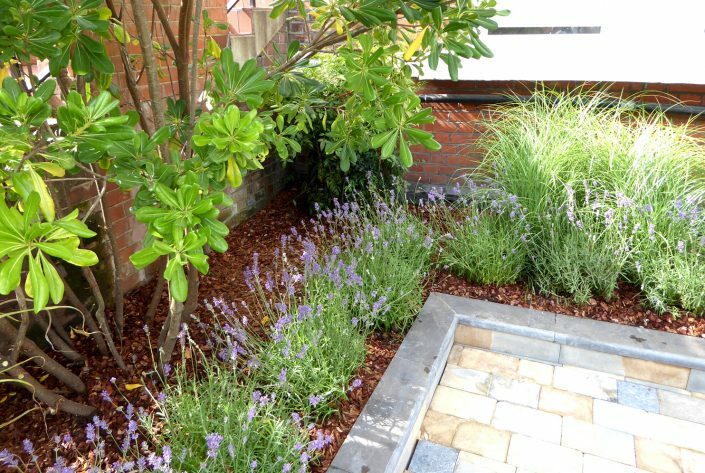 Mediterranean plants and aromatic herbs were planted in these beds to both create pleasant aromas and attract friendly bees and insects. 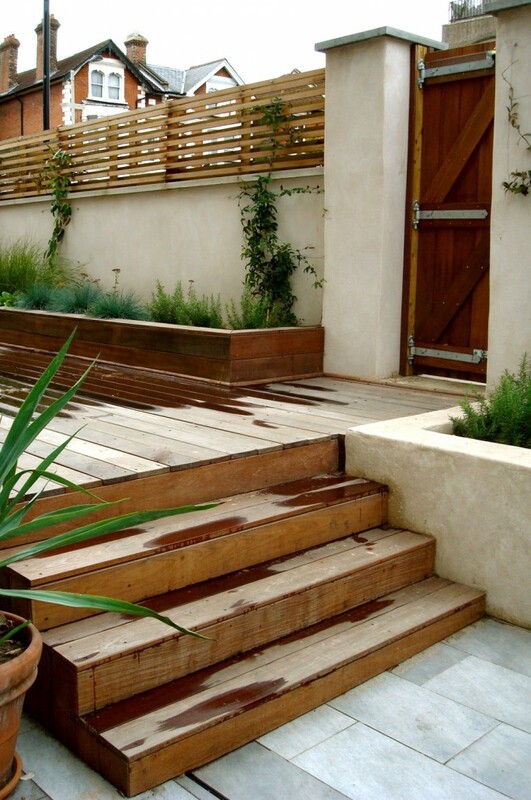 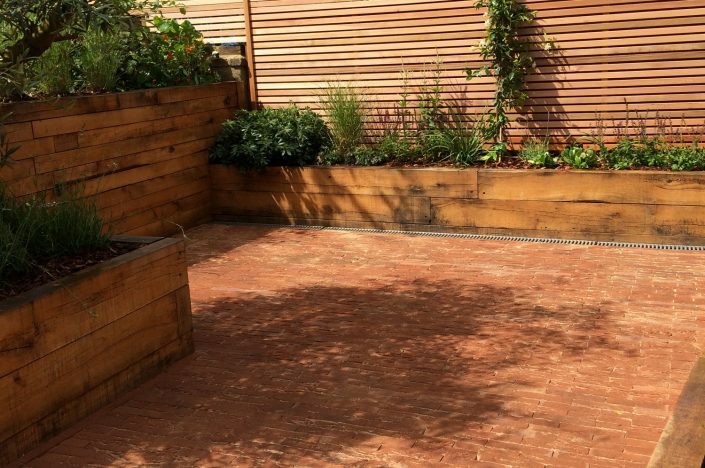 A matching raised deck area was also built using Ipe hardwood and this even incorporated a sandpit for the children. 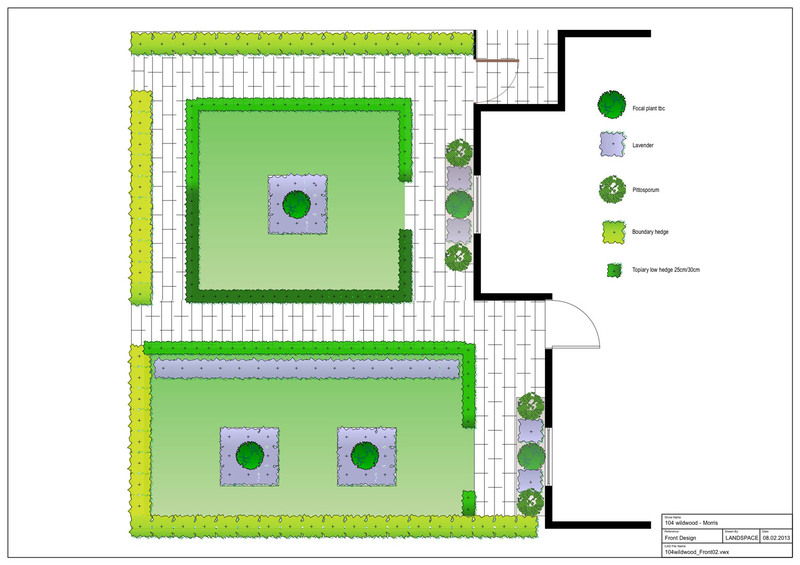 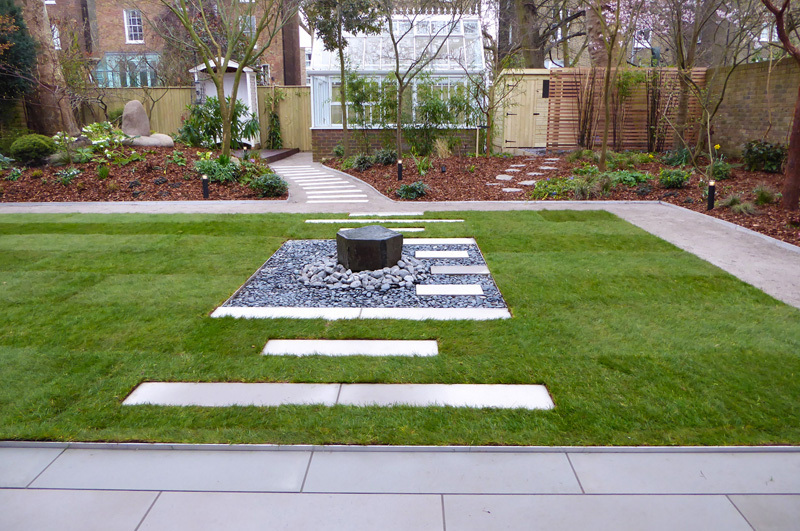 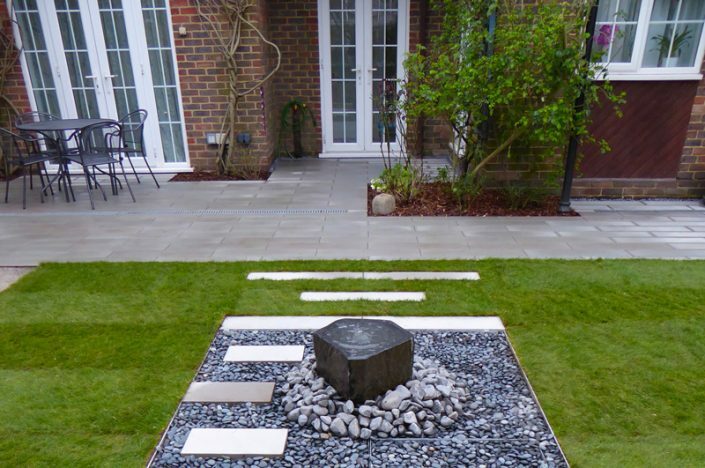 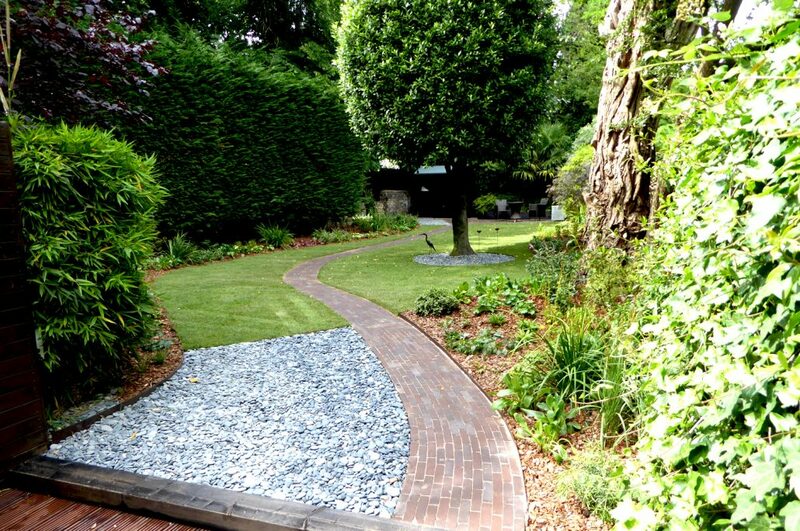 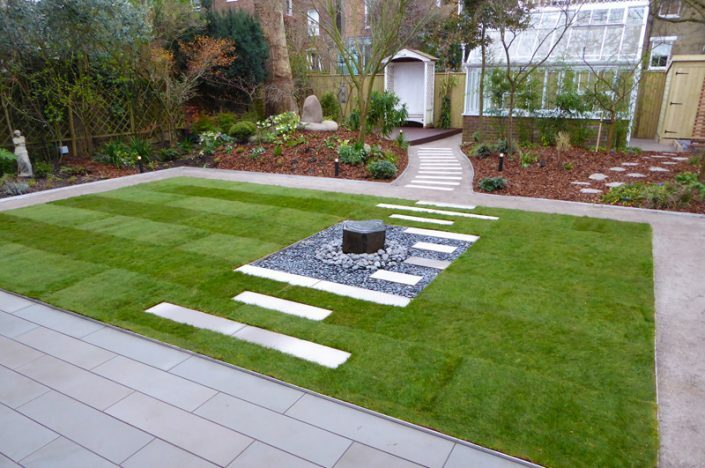 For much more detail about this medium-sized garden design project, click here. 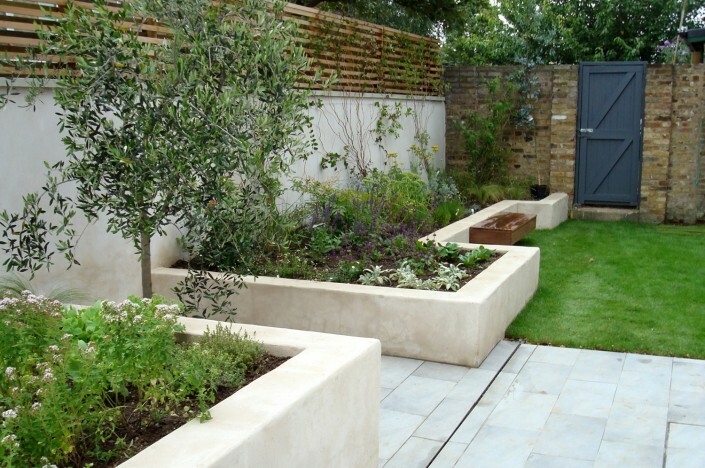 For more information about this garden landscaping project, click here.